A Pakistani woman pilgrim was killed when a falling rock hit her on the head at Al Nour mountain in Makkah on Friday. The body of the woman, who was in Makkah to perform Umrah, is being kept at a morgue while police investigate whether the incident was an accident or intentional, according to local media. She was reported to be in her forties. 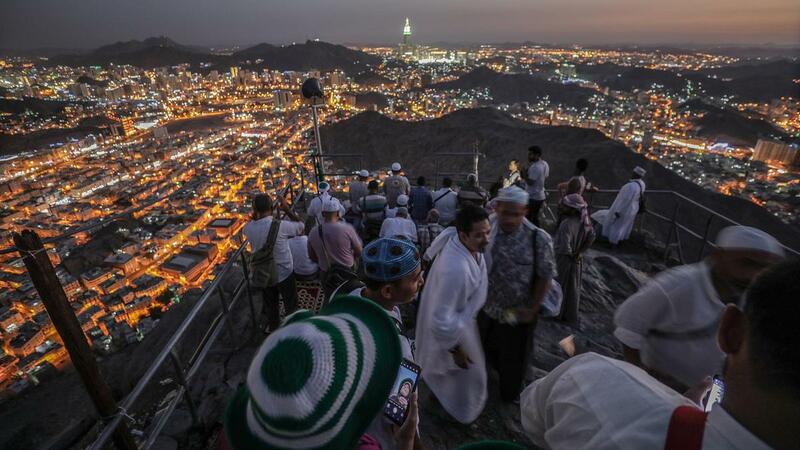 Muslims are drawn to a small cave known as Gar Hira near the top of Al Nour mountain in which the Prophet Mohammed received the first revelations of the Quran. Authorities in Makkah last year warned Umrah and Hajj travel agencies against taking visitors to the site because of safety concerns. A Turkish Hajj pilgrim died on the mountain in 2015 when he slipped and fell while chasing a monkey that had snatched his bag. However, some heritage activists are urging the Ministry of Hajj and Umrah to develop the site and make it safer for visitors.